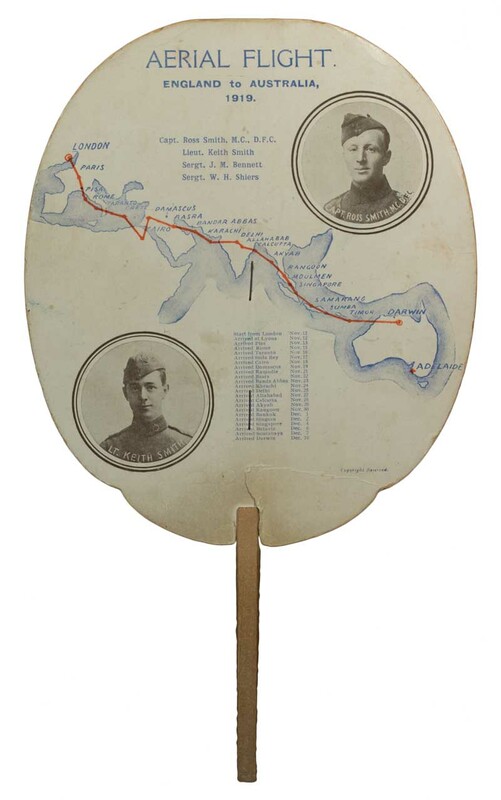 1919 England to Australia Aerial Sir Ross Smith and Sir Keith Smith Flight advertising fan, produced in 1920 by the Department Store, John Martin and Co. Ltd. in conjunction with their home coming parade held in Adelaide, showing details of their flight. Has tear at base. 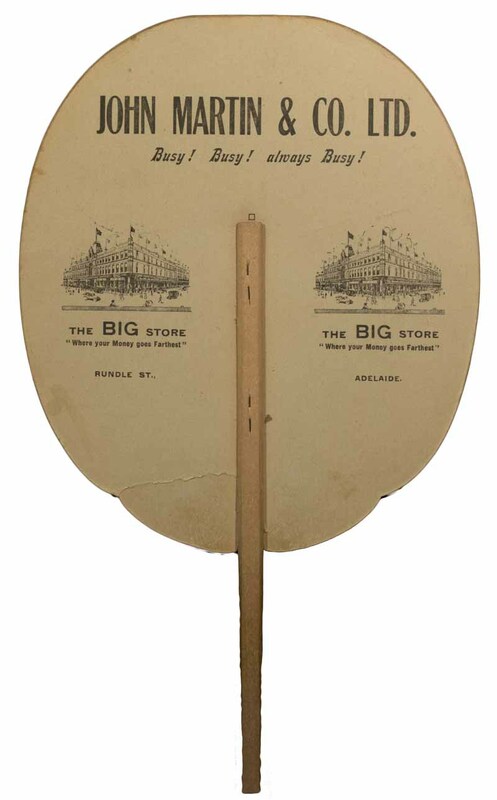 Measures 20 cms x 23 cm, plus wooden handle extending 10cm at base. Rare and attractive.